“My name is Maggie, I am married with three children, one grandchild and another one on the way. I have battled with my weight all my life. 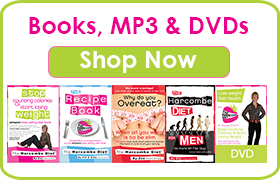 You name it, I’ve tried it – cabbage soup diet, grapefruit diet, F Plan, Weightwatchers, Slimming World… I even worked as a Rosemary Conley Diet and Fitness Instructor for 5 years. The trouble was, as soon as I stopped, guess what? I put it all back on, and then some more. I found Zoë’s details online whilst nursing a slipped disc in early 2013 and I was unable to carry out my normal activities. Of course I was very down about my weight as I was, by now, weighing in at 14 stone 8lbs (204lb) and my height is 5’6. So I watched the Phase 1 video on Youtube along with the videos about Candida, Food Intolerance and Hypoglycaemia and I definitely recognised the symptoms that Zoë explained so clearly. 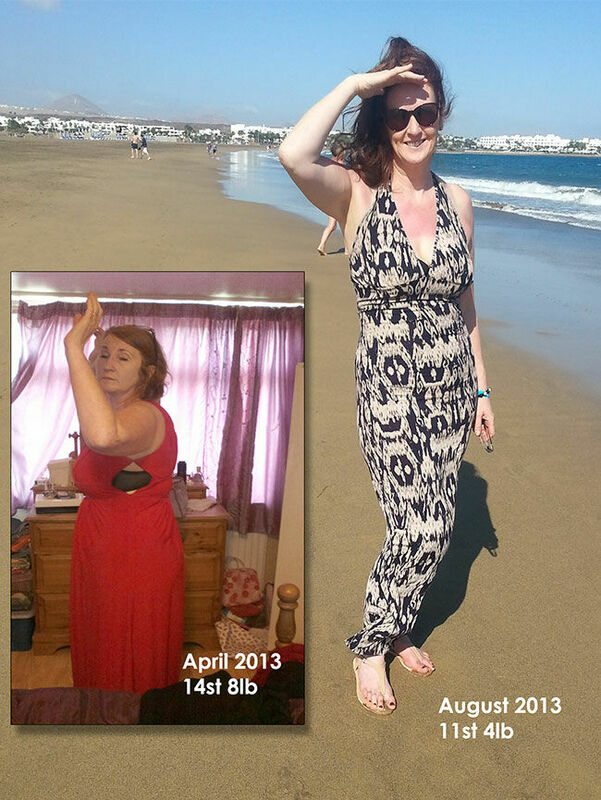 I thought I had nothing to lose, apart from quite a bit of weight, so I started Phase 1 and I soon lost 10 pounds”. 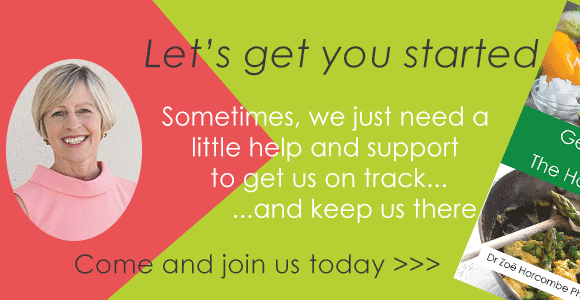 “I was absolutely delighted and started Phase 2 with a positive energy I’d never felt before. I continued to lose during phase 2 and I am now totally happy at my current weight of 11 stone 4lb (158lb). Getting my weight under control has given me renewed confidence to face the world again. I used to make all kind of excuses not to go out and my ‘after’ pic was taken on a recent holiday in Lanzarote, when I wore a bikini for the first time since my teens. Today, I am happy, healthy and determined to stay that way and I can’t thank The Harcombe Diet® enough”. So determined is Maggie to help others get off the yo-yo dieting trap that she’s set up a local club, in her town of Leicester, where you can go and get help and support from Maggie and others. Your story is such an inspiration. Thank you for sharing. I started the harcombe phase 1 last year 2014 for some reason I couldn’t continue – I was going through a dreadful time and had stress and depression. 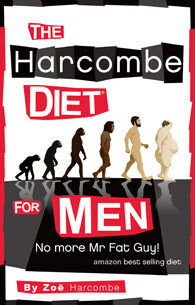 I have put on more weight but I know the harcombe diet works so I am going to try again. I have a condition called PMR polymyalgia rheumatica and am taking steroids at the moment and i have the cheeks of a chipmunk and the body of a sumo due to the fact the steroids make you crave carbs and the fact that the steroids do make your face funny and your tummy very bloated and i really hate the way i look so am desperate to see if this diet will help with the cravings and help me lose weight.Also due to this condition I am extremely tired most of the day and am unable to exercise – some days even walking is too painful – that said once you get your muscles working and if you walk regularly I should be able to most days do a little bit of walking. Well done on your brilliant weight loss!!!!!!!!!!!!!!! !